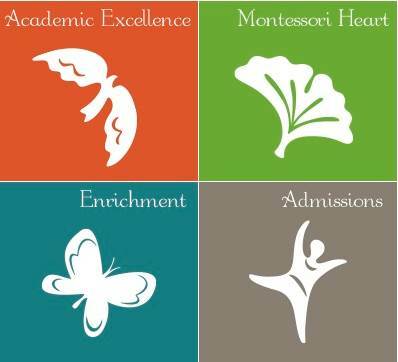 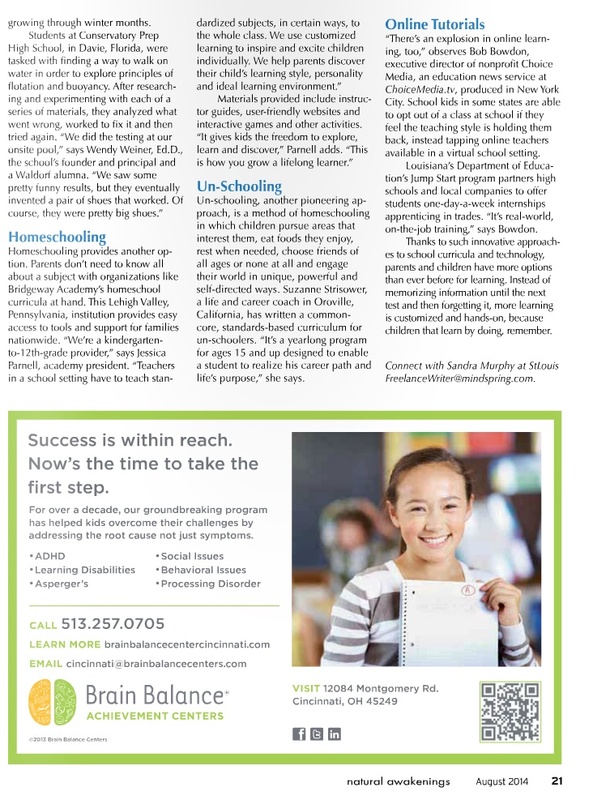 TNSM Director Eric Dustman was interviewed by journalist Sandra Murphy for a recent article called, “Schools that Rock” in Natural Awakenings Magazine. 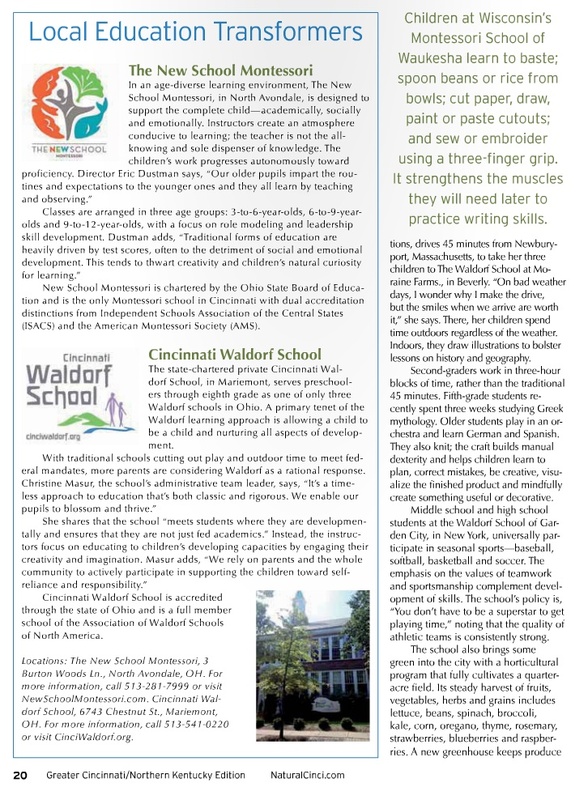 Sandra’s article shares information about innovative schools in Cincinnati and throughout the country that are blazing creative paths for their students. 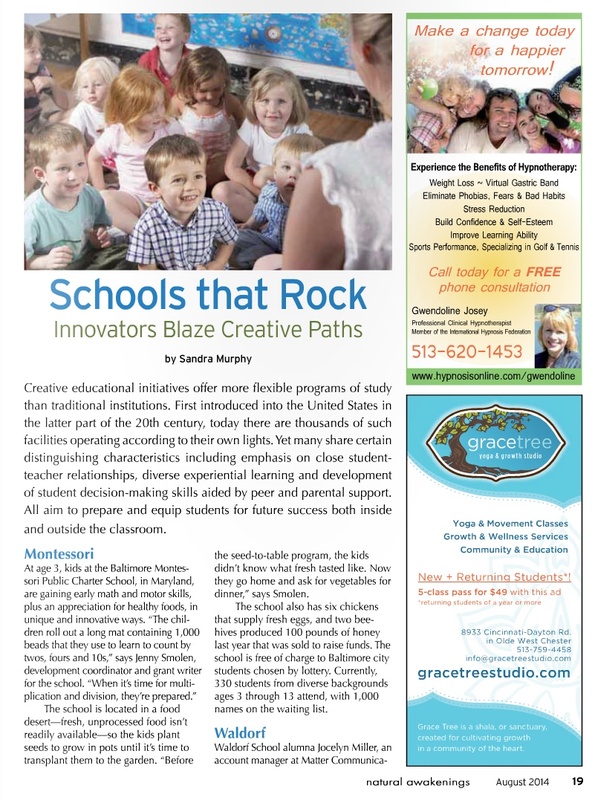 Click here for the magazine’s complete August issue, or read the pages below for the “Schools that Rock” article on pages 19, 20 and 21.